I threw together a quick script due to anomalies found when booting up which left me with one last issue I cannot seem to find reason for. The first "issue" was, when trying to initialize (BCM) GPIO's 21, 20, 16 and 12, twelve failed with a permission denied error... while root... thus leading me to say things (somewhat grumbled) asking "So what's so special about GPIO 12 (pin 32) that 'nix tells me NO??" 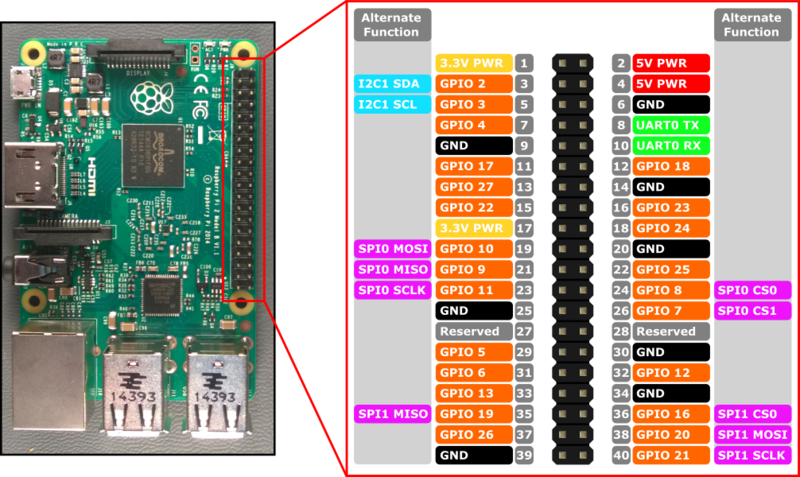 Come to find out that for SOME reason, GPIO 9, 10 and 12 are already exported (for an unknown reason) at boot time and must be UNexported in order to gain control over the pin. Pins 16 and 18 (GPIO 23-24) however are seemingly being held captive by I2C-0 though I don't know how those pins are related??? If I disable the dtoverlay=i2c-gpio I can do what I do with GPIO 9, 10 and 12 and gain control over them. With I2C enabled, these two IO pins are reserved/locked. Any ideas as to why that might be? Isn't GPIO 9, 10 the SPI port? GPIO 23/24 are the biggest challenge as they're not marked for anything on any of the pin-outs I have (ie: Pins 27/28 being reserved by I2C0 DATA/CLOCK respectively thus I get why those two would be locked) yet if I enable I2C1 support, pins 16/18 return Device or Resource Busy Permission Denied when I attempt to initialize those GPIO and I cannot see any coorelation between I2C1 and those pins. Any thoughts? It turns out kernel updates (since TCL9?) have modified i2c support. THUS... why 23/24 are now locked if I2C support is enabled. *EDIT: Turns out there's a firmware bug which we need to update TCL's GZ image. overlays/i2c-gpio.dtbo is a little outdated. I grabbed a copy of the newer firmware file from github and my issues were resolved. I've tested pre and post v4.14.21 of RasPi firmware releases and there are some screwy things to know about before spending hours trying to figure out why it's not working. First, if you want to create additional "software" i2c ports similar to that found on GPIO-2/GPIO-3 when you read the docs it'll mention the new command-line argument of bus=##; thus far I have yet to find a release that actually WORKS with bus= so assume up front that the first bus number you'll be assigned is bus=3. It's also a good idea to DISABLE i2c=on in config.txt to give you more control over the process. If you add ONE overlay instance calling it bus=3, this seemingly works fine. Add a SECOND instance (say bus=4) and the buses will SHIFT (first one gets pushed down the list and 2nd one takes the top position) thus bus=3 as you've assigned it becomes bus 4.
mount -t configfs none /sys/kernel/config Doing so creates a home for i2c ports to live when you reach #4 below. dtoverlay -d /mnt/mmcblk0p1/overlays i2c-gpio bus=3 i2c_gpio_scl=14 i2c_gpio_sda=15* dtoverlay will leave notes about pre and post processing; disregard these.